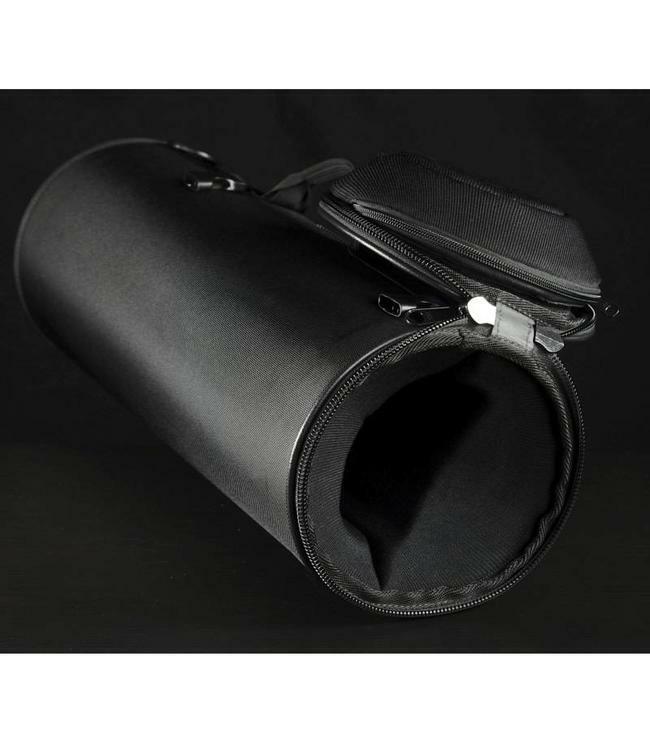 Technically a gig bag, the Single Outlaw from Torpedo Bags surpasses all the others in protecting your valuable instrument. You can throw it around within reason, put things on top of it, and bang it into doors and other subway riders without worry. This is accomplished by using the same interior as our original bag, minus 3/4 of an inch, and then wrapping the whole thing in a sheet of plastic. It weighs only 3 pounds, has room for two or three mutes and a large music folder. In Black Only.... Other Colors Special order only.